In this assignment for Type I we were asked to explore 24 typefaces and look specifically at the forms of each letter within each typeface. 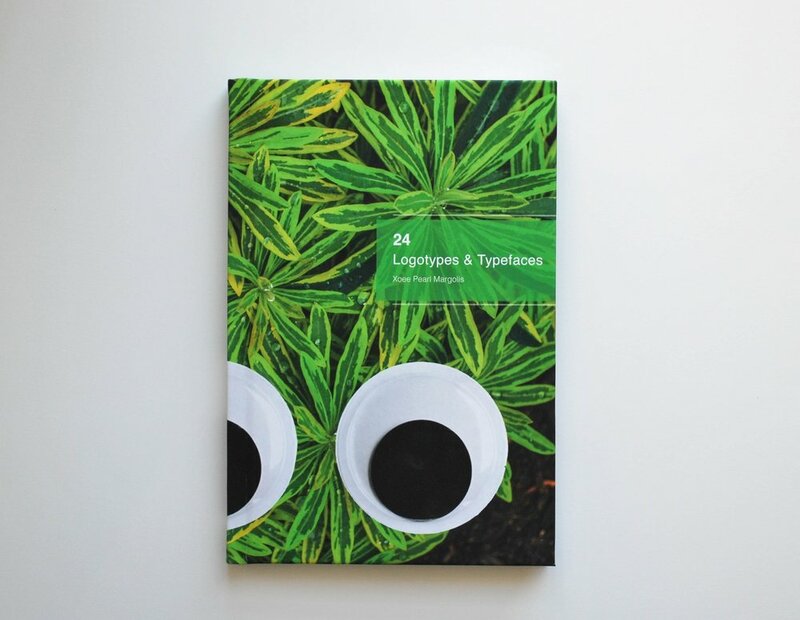 After researching the history of each classic typeface, I created a spec book which explores the individual differences of the 24 typefaces while creating a unique logotypes specific to each. 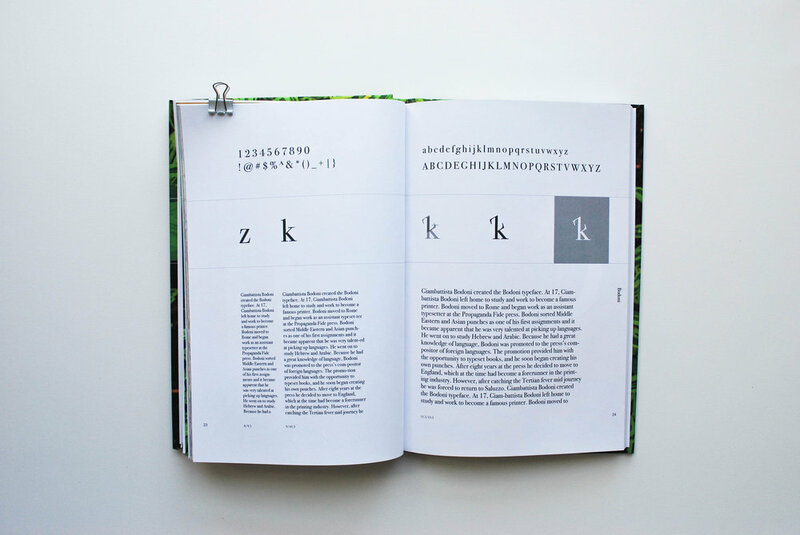 My goal was to create a book that had its own personality similarly to how each typeface has its own personality. 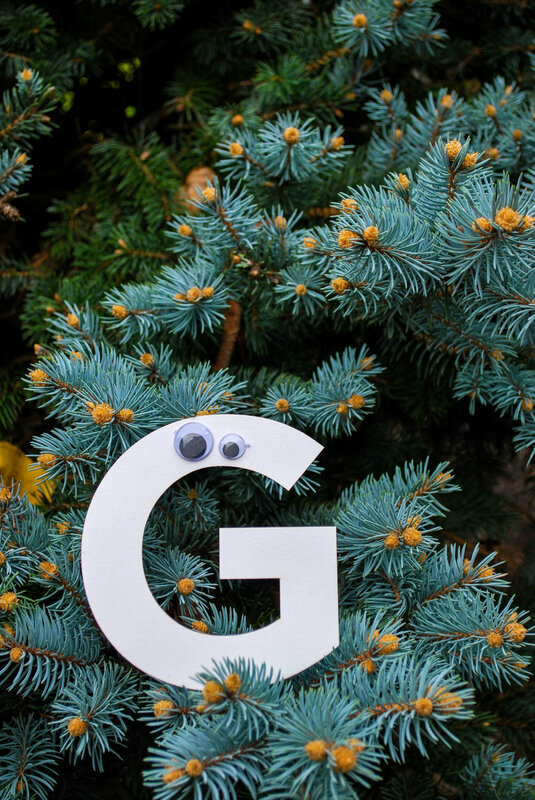 By showcasing the first letter of the name of each typeface laid out in nature setting with a pair of eyes to adding to the playfulness of the book. Creating each logotype required making iteration after iteration to find the most satisfying way to combine two letter forms uniquely for each typeface. Utilizing the 'copy & paste' commands excessively allowed myself to make mistakes which could generate even more ideas. To help create an overall playful feeling for the book, I focused on photographing each typeface in a setting that best fit its personality. Giving each image strong colors and interesting textures allowed for the typefaces to be unique while also creating a cohesive set of images.